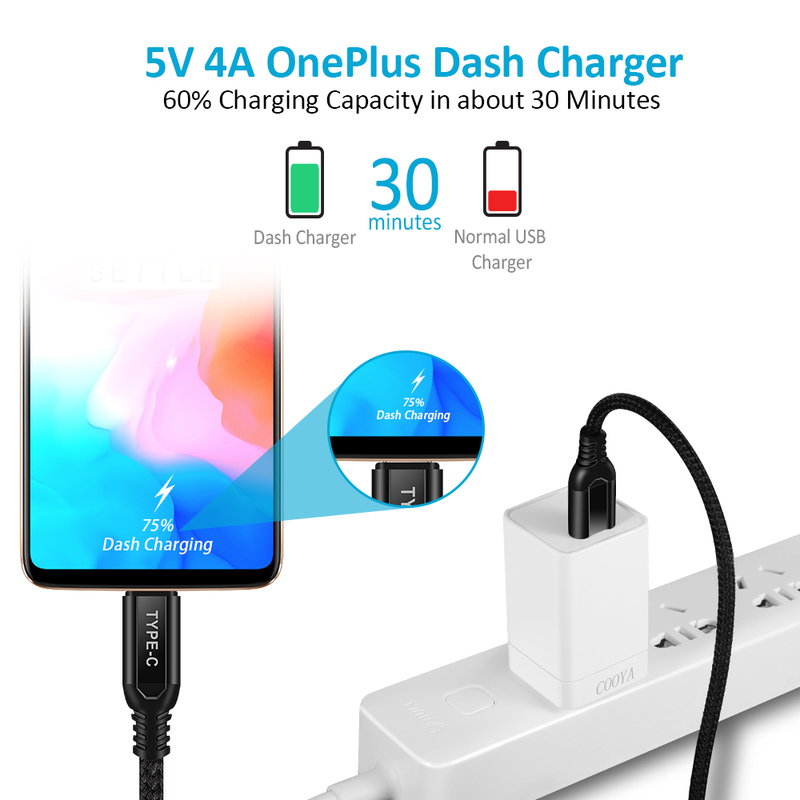 【OnePlus Dash Type-CCable】-- 5V/4A Dash Chargeproduces more power rather than increasing pressure, offering stable current andconsistent charging speeds up to 4A. 60% Charging Capacity in 30 minutes. 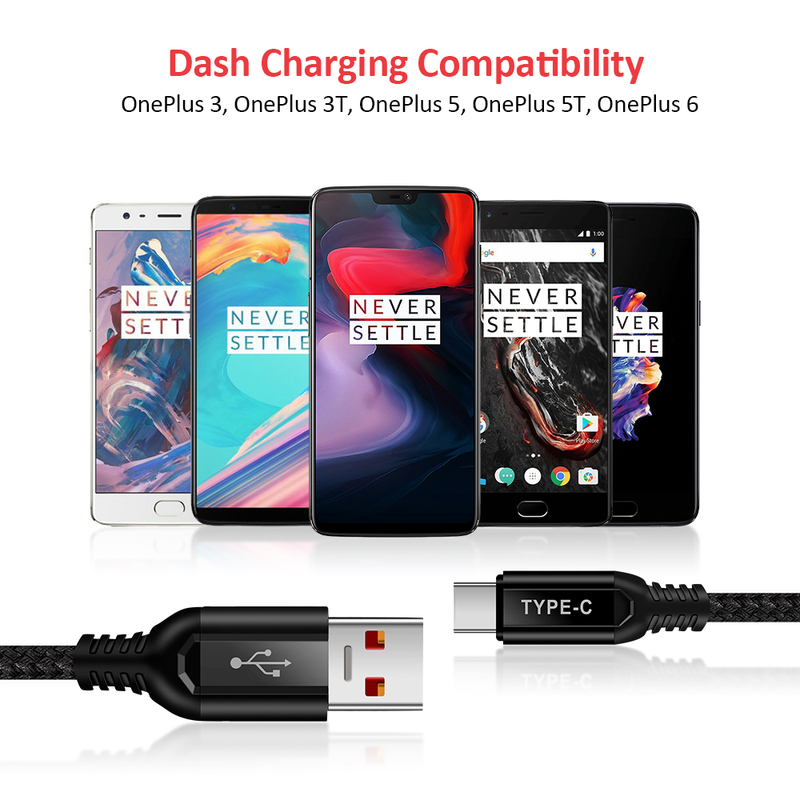 【Dash Charger CableCompatibility】-- This Dash ChargingUSB-C Cable,Special Design for OnePlus 6,OnePlus 5T,OnePlus 5,OnePlus3T,OnePlus 3.Normal charging for other type c devices. 【Reliable Dash USB TypeC Cable】-- Underneath thepremium nylon braided coating, broad internal PVC prevents fire or overheat,ensuresthat power reaches your OnePlus 6, OnePlus 5T, OnePlus 5, OnePlus 3T or OnePlus3 faster and safer. 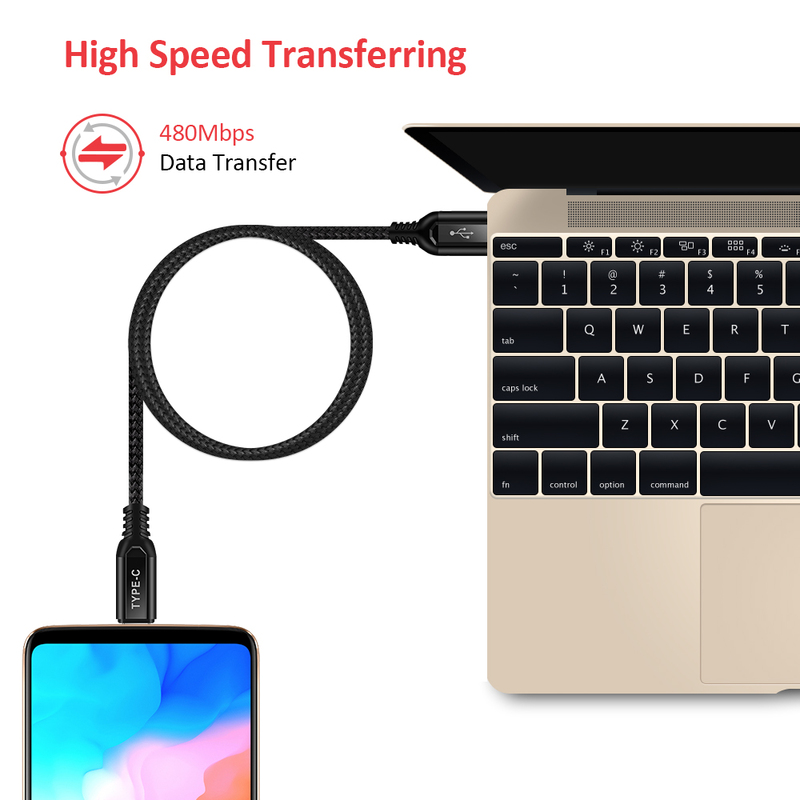 【Reversible USB Type CConnector 】-- The Dash Cableconnector offers a user-friendly reversible design that makes it possible toeasily connect the cable to a device.No more wondering which way faces up whenplugging it in. 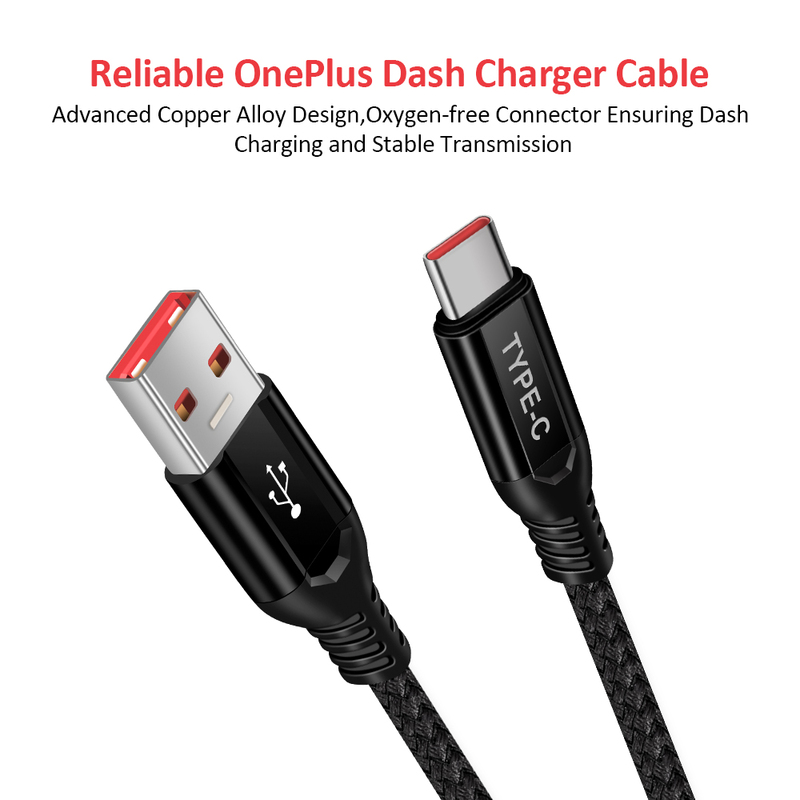 【Warranty】-- Our OnePlus Fast Charge Power Cable, 30-Days worry-freereplacement or refund.Lifetime 100% Satisfied customer service Guarantee.Ifthere is any question,please feel free to contact us with the friendly service. 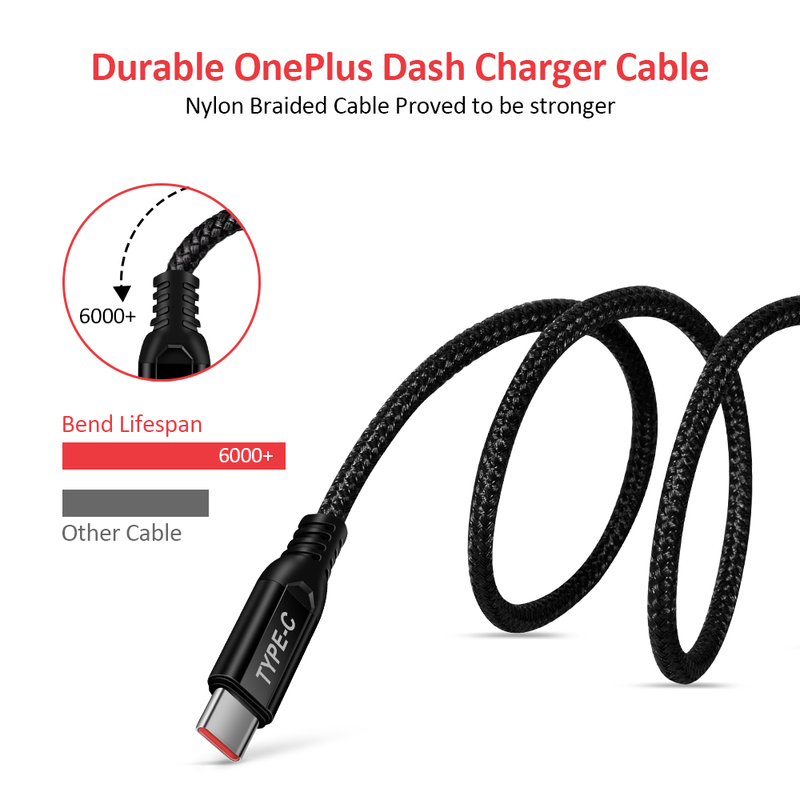 COOYA 3.3FT OnePlus 5V 4A Dash Charger USBType C Cable Fast Charging Braided Cord is an ideal choice for you. 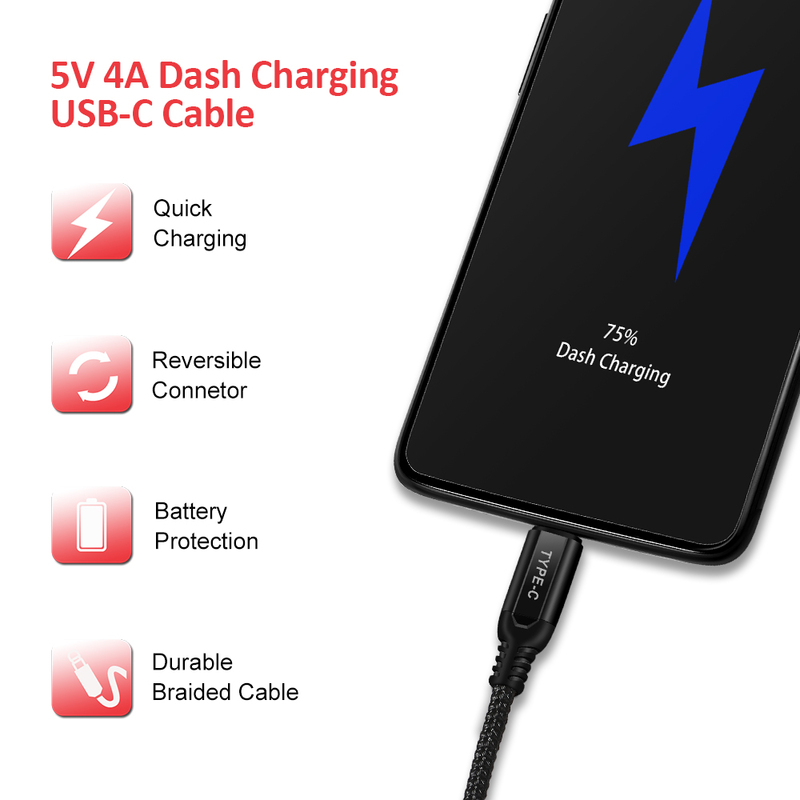 5V/4A Dash Charge produces more power ratherthan increasing pressure,60% Charging Capacity in 30 minutes. 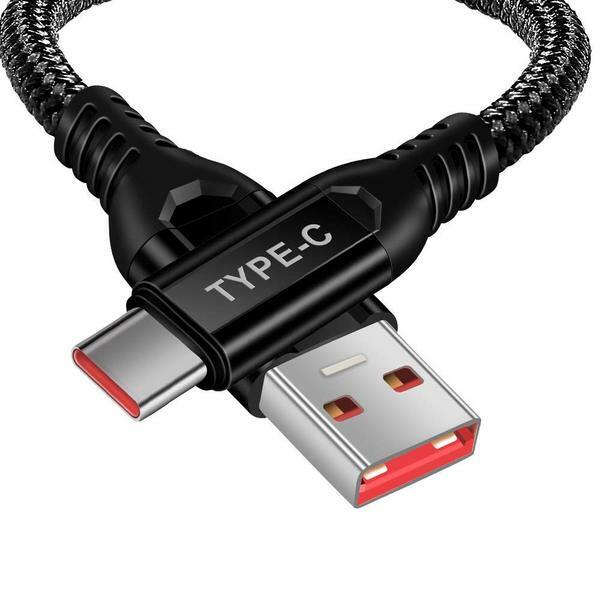 Underneath the premium nylon braidedcoating,strengthen connector makes much more durable fro daily wearing andtearing. The Dash Cable connector offers auser-friendly reversible design.No more wondering which way faces up when pluggingit in.